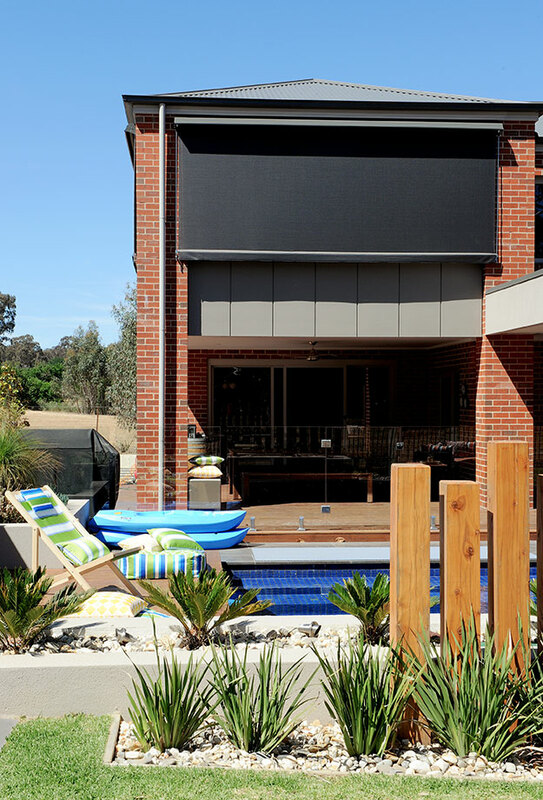 The best of modern outdoor living comes from making our homes bright and cheerful—by maximizing light whilst bringing the outdoors in—and relaxing in outdoor living spaces. 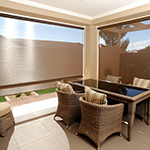 These situations both create a need for interior sun block and exterior sun shade solutions. 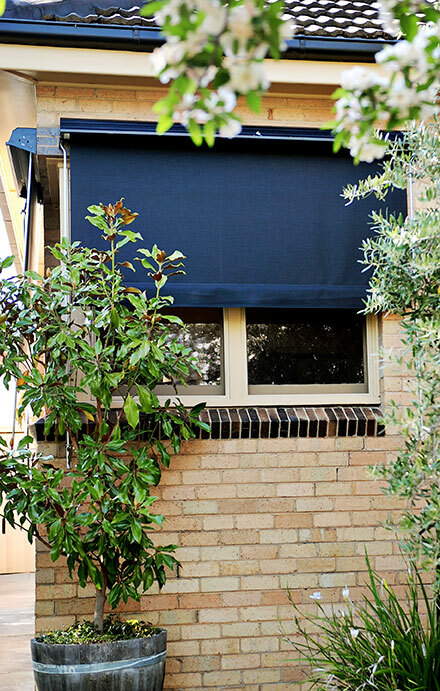 Our quality outdoor mesh and canvas awnings provide effective sun protection inside and out. 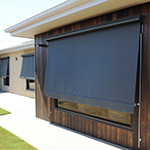 They are also ideal for sectioning an alfresco area and creating shade and privacy. 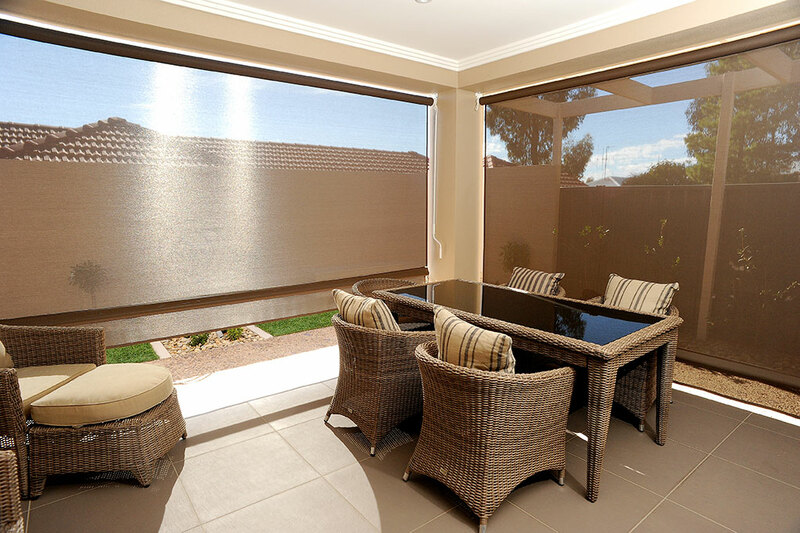 Our mesh awnings are our most popular outdoor blind and make an attractive addition to any outdoor living décor. 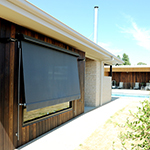 They offer one-way vision from inside while providing complete privacy from the outside. 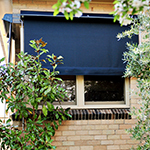 The mesh awning fabric is fade, mould and mildew resistant. 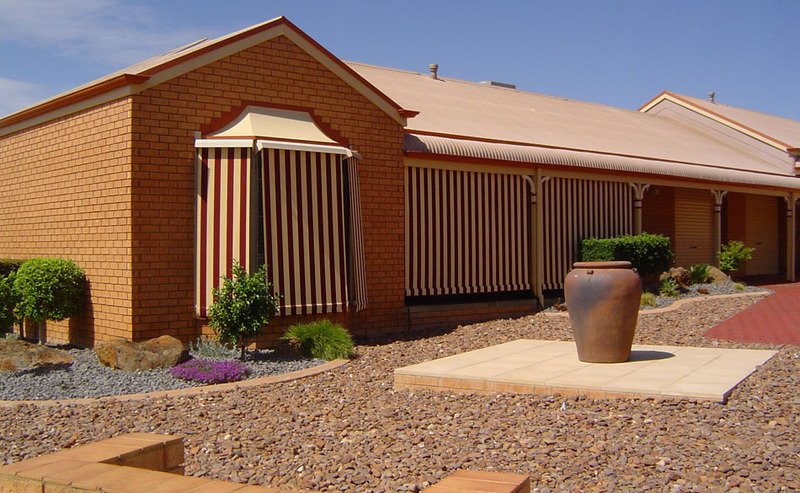 Available in plain colours or contemporary stripes the awnings are sure to blend attractively with your brick, weatherboard or render. 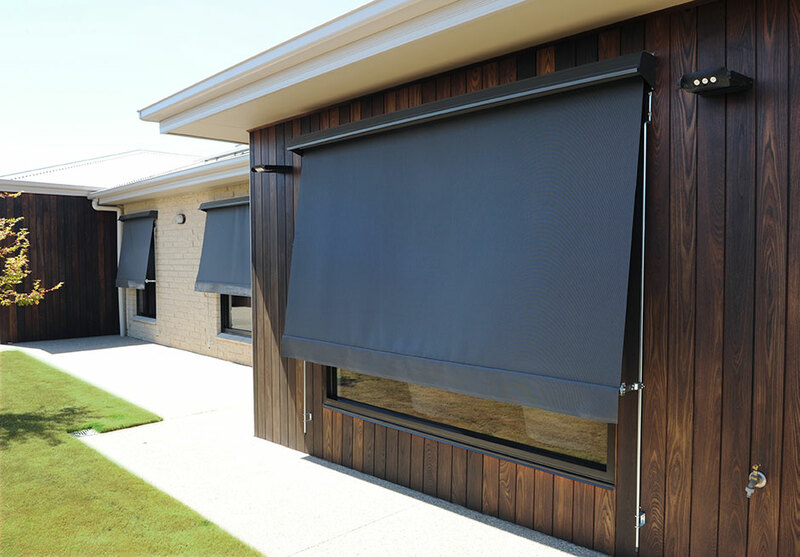 They are an adaptable blind suitable for a home of any age – new or traditional – but importantly offer 95%-99% UV sun protection. 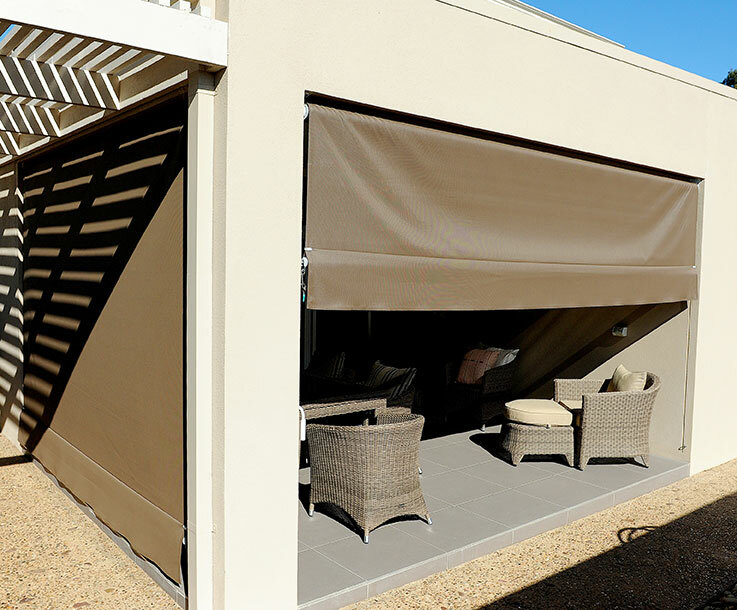 The more conventional canvas awning is still a recurring request with the colour spectrum embracing modern tones. 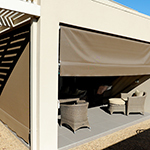 Available in a range of contemporary or traditional colours and stripes, if you prefer canvas awnings to mesh awnings we can provide this option for you. 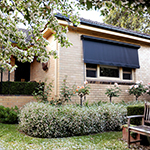 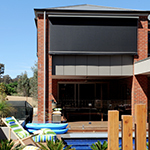 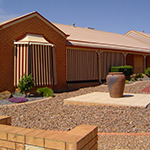 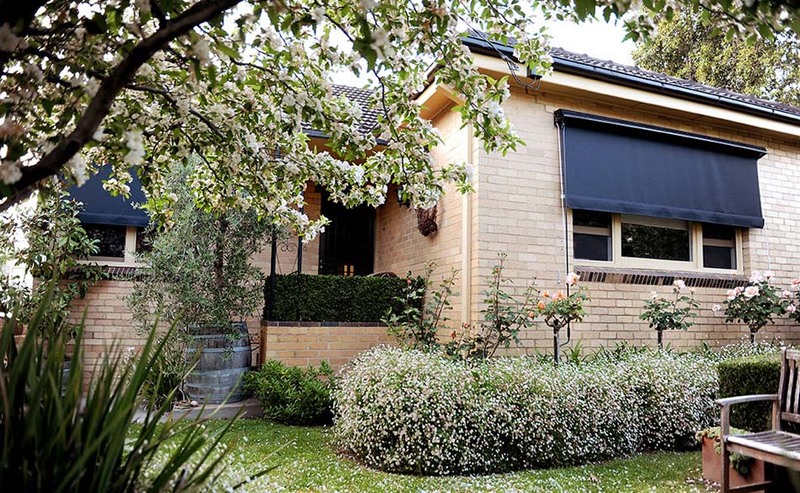 All mesh and canvas awnings are available with Colorbond hoods to match roof, fascia or spout colours. 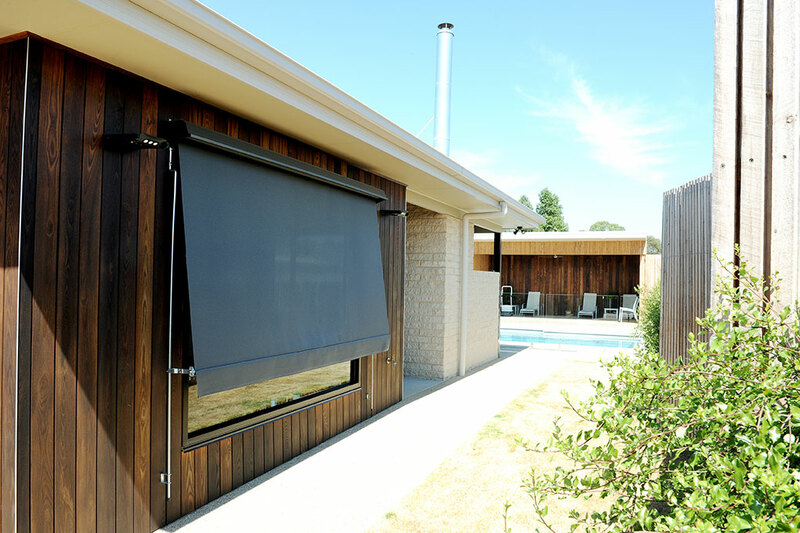 Our outdoor blinds and awnings are available with several different operating mechanisms, including rope and pulley, auto guide, crank handle, straight drop and motorized.